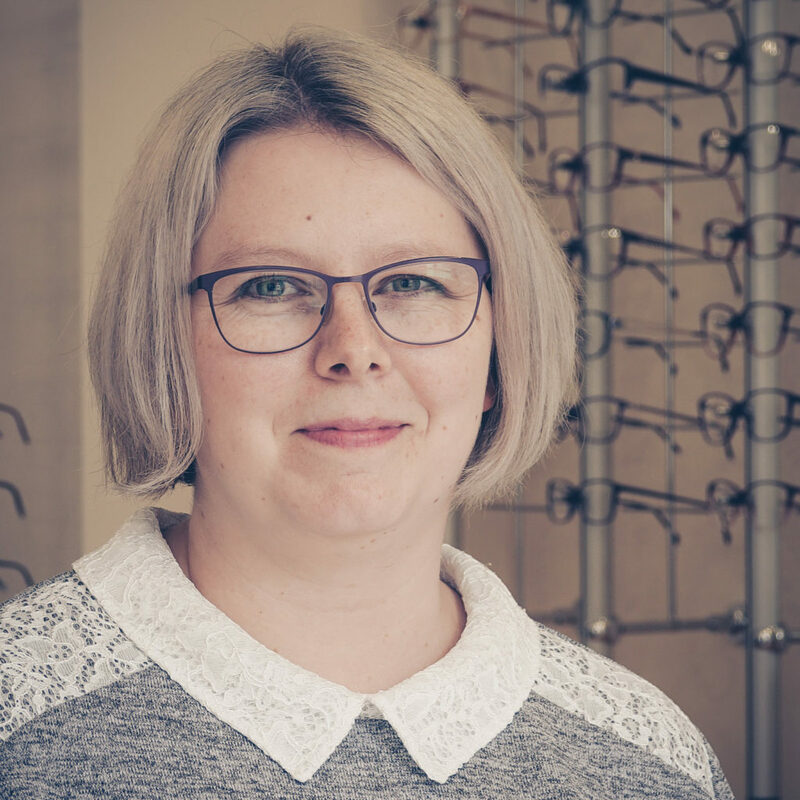 On busy clinic days, she is our ‘front-of-house’ and also carries out visual field examinations for our patients and for those referred to us from consultants as well as collating all the NHS paperwork and checking everything balances at the end of the day. She is becoming a whizz at glasses repair and adjustments under Naomis supervision and is being trained in dispensing. In the office she is responsible for checking all our stock ordering which goes through the national Sightcare buying group as well as managing all our contact lens care plans. She is originally from Yorkshire and is married with two boys who keep her busy. Over the years she has learnt to play a variety of instruments and is currently learning to play the cello. she still finds time to be creative – she loves to crochet, knit and sew!